Only about 400,000 brave souls come to the remote and rugged last frontier of Denali National Park and Preserve in Alaska each year. Many of those come to see the wildlife or scenery like the highest mountain in North America, Mount McKinley. Together, the park and preserve together cover 9,492 mi² (24,585 km²). The “centerpiece” of Denali National Park and Preserve is Mount McKinley which is known as Denali, meaning “The High One.” It’s massive peak crowns the 600-mile-long Alaska Range. According to the CIA World Factbook, Denali’s summit elevation is 20,335 ft (6,198 meters). Whether you regard it as fearless or foolish, some of the most daring and adventurous souls come to Denali to climb and to taste the clean, cold air of adventure. Some move far beyond “normal” climbing to mountaineering. 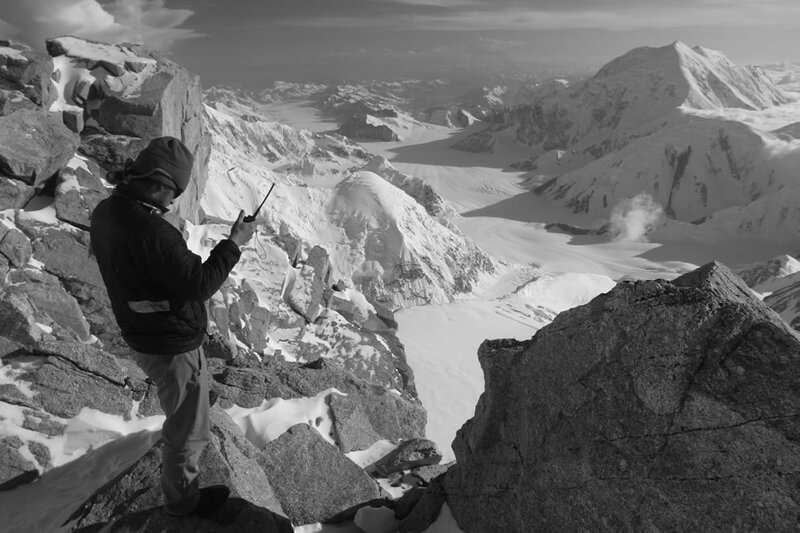 Not just anyone can take on the world-class mountaineering opportunities at Denali, but climbers come from all over the world to test their mountaineering and wilderness survival skills. Since many of us will never go mountaineering on Denali, here’s a look at some of the climbers, mountaineers, and rangers who are up to the high altitude challenges of Mt. McKinley and the vertical rock and ice walls that line the Ruth Gorge. While we love these pics, we got cold chills just staring at the photos. We cannot urge you strongly enough to read the NPS Mountaineering Booklet from which we snipped bits of wisdom to go with these awesome photos.